Nickel carbonate precipitate. Test tube with nickel sulfate solution (left frame) has sodium carbonate solution added. Both solutions are 0.5 M concentration. 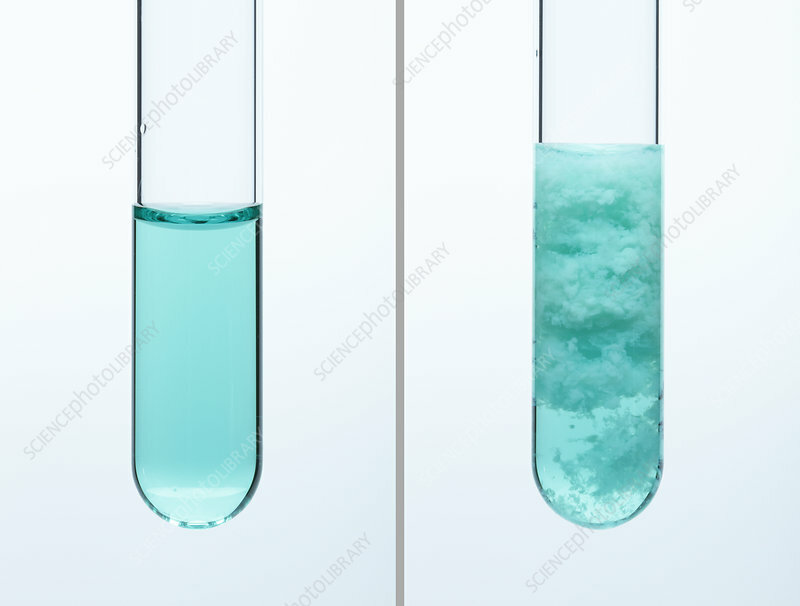 As a result, nickel carbonate precipitate is formed (right frame): NiSO4 + Na2CO3 -> Na2SO4 + NiCO3. This is an example of a double displacement reaction.